Pouf Moroccan Hassock Pooff Leather Ottoman Footstool Medium Beige Turquoise Condition is New. Local pickup only. Teal Moroccan Pouf, Pouffe, Ottoman, Footstool FREE SHIPPING! Made in: Handcrafted in Morocco by The Moroccan Den. Royal Blue Moroccan Pouf, Pouffe, Ottoman, Footstool FREE SHIPPING! Sky Blue Moroccan Pouf, Pouffe, Ottoman, Footstool FREE SHIPPING! Cobalt Blue Moroccan Pouf, Pouffe, Ottoman, Footstool FREE SHIPPING! Material: Hardwood and Pigskin. Shape: Square. Large enough to serve as extra seating while acting just like a coffee table. Tufting on the top self welting. Nothing is Set in Stone! Color: Cobalt Blue. From cow to crocodile. Upholstery Fabric Nothing is Set in Stone! Material: Hardwood and Velvet. Room: Living Room Bedroom. Imgaine several of these throughout a gathering spot. They provide seating but could also be that interesting contrast of color a contemporary space needs. 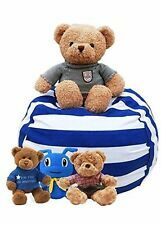 Canvas Storage Bean Bag Ottoman New Blue Navy Organization Kids Toys. Condition is New. Shipped with USPS Priority Mail. Surrounding the emblem of Napoleon are bees, the chosen symbol of the first and second empire. The bee represents the oldest emblem of the sovereigns of France. The seal of Napoleon is on a Blue background. Add a stylish appeal to your kitchen with this buffet. This Buffet has round knobs on the drawers and cabinet doors that provide a firm grip for smooth functionality. Drawer Interior: 3.25" H x 16.5" W x 11.25" D.
Enhance your living room or your bedroom with this hand made Leather Poufs with unique Moroccan details. This piece can function as a footstool, extra seating, or even as a decorative accent piece. Buy Retail in Wholesale prices. Filling material is polyurethane foam and polyester fiber. Type: Ottoman. Material:Birch Wood 100% Polyester. Bring a hint of Old Hollywood glamour to end of bed storage. Luxurious indigo upholstery features top tufting. Upholstery Fabric:100% Polyester. Features:Lift Top with Interior Storage. 18" Vintage Handmade patchwork Ottomans Stool Boho Khambhadia Pouf Cover Pouffe! 16"dia x 20"h". Nothing is Set in Stone! 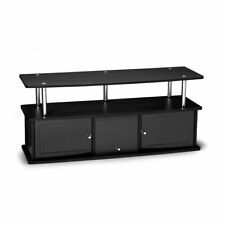 Modern Styling is the essence of the Designs2Go TV Stand with 3 Cabinets. Available in Multiple Finishes, this TV stand will be sure to complete the look of any decor. 3 cabinets for concealed storage. Charm your way to animated living with the Enchant Bench. Perfect for modern farmhouse or contemporary bedroom and living room spaces. Assembly required. Set Includes:One - Enchant Bench. Velvety polyester upholstery. Set Includes:One - Connect Bench. Upholstered In Polyester. 53lbs/m3 density foam, 100% polyester, rubber wood legs with PP foot glide, Solid wood Plywood Chair Weight Capacity 331 lbs. Modern Farmhouse Style Bench. This single drawer side table is hand covered in navy faux shagreen. Color: Navy, Gold. Navy, Gold Finish. Skin Care, Bath & Body (73). So why buy from us?. And our friendly and knowledgeable phone staff is available 24-7! Comfortable, yet ultra stylish, the LumiSource Rockwell Chair is the perfect piece to accent any area. The Rockwell Chair with Ottoman is upholstered with a stylish noise fabric, accented with a button-tufted back, and solid wood legs. Minimalist lines reveal much with the Sheer Armchair. Imbue your living or lounge area with this unique piece made of dense foam padding, fine polyester upholstery, and cherry stained wood legs. Set Includes1 - Sheer Armchair. This vanity is every bit as practical as it is beautiful. Crafted from poplar hardwood solids and wood products, it features a Rustic Blue hand painted finish with a heavily distressed cherry veneer top. The indoor/outdoor safe Chantilly garden stool is the perfect piece. Crafted of 100% ceramic, the stool is a great aesthetic addition and adds life to any room or garden. Part of the Chantilly Collection. Gently sloping curves and plush seat cushion create a favorite lounging spot. Set Includes. One - Engage Armchair with wood Legs. Color: Azure. Baby & Kids' Furniture (2810). Bar Furniture (529). Bathroom Furniture (6313).